The Black Repertory Theatre of Kansas City makes its debut this week with Dreamgirls In Concert, spotlighting a cast of Kansas City singers performing songs from the award-winning Broadway show. 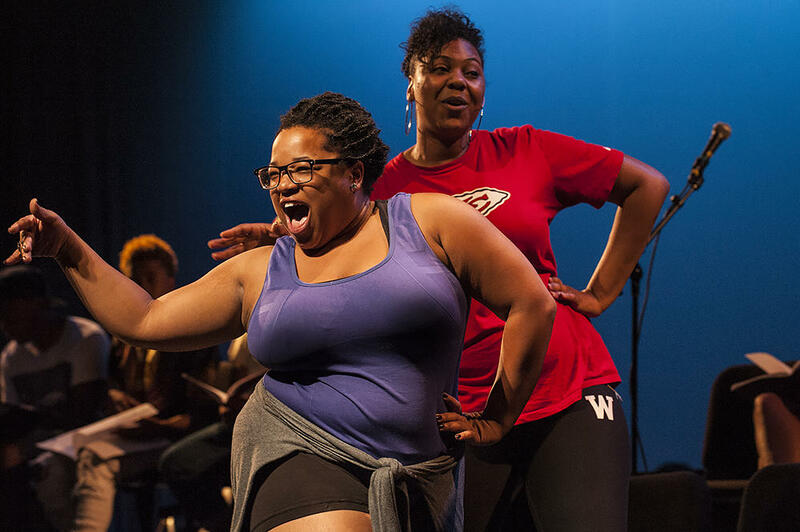 It's both a fundraiser for the fledgling Black Rep and a preview of the talent Armstrong promises to bring to Kansas City stages. "It’s like a secret pass in to see what the show looks like before you add the costumes, lights, sound," Armstrong says, "and truly enjoy the music, the lyrics, the talent." He says he always knew he would start a theater company, but his plans gained urgency after the murder of Trayvon Martin in 2012. "With the number of black men who have been shot down in the streets, there’s a sense they’re not adding anything to the pot, that we’re not really benefiting from the lives of 'those people,'" Armstrong says. "And until we start releasing the stories of African Americans and the contributions, I think we’re going to be stuck there." As executive artistic director, Armstrong has been busy writing grants, visiting schools to solidify the theater company's educational component, securing rights to shows, scouting rehearsal and performance locations, casting shows and doing public relations. He's had volunteer help from friends, but for Armstrong, it's been a 24-7 job. "When it’s up and running it will be the single hardest thing I’ve done in my career to date," Armstrong says. 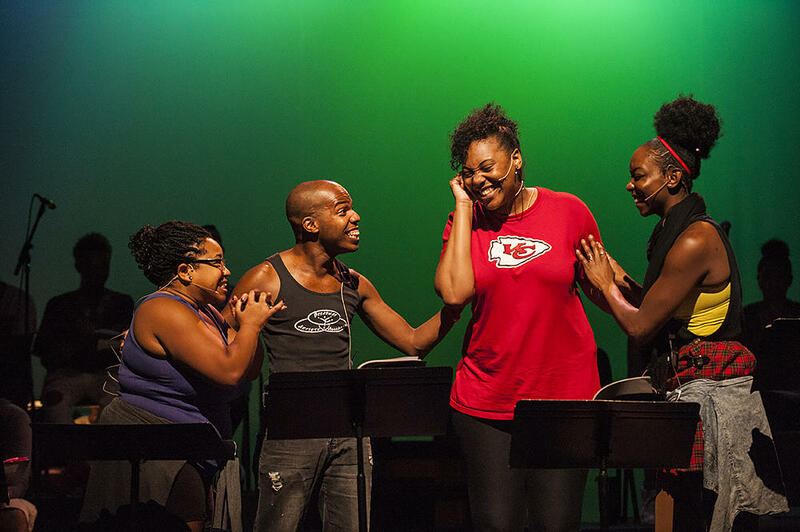 Damron Russel Armstrong, the executive artistic director of the new Black Repertory Theatre of Kansas City, during a tech rehearsal for the company's inaugural performance. Other theaters in town are putting on work by black playwrights, and black actors are getting parts. For several years, the Kansas City Repertory Theatre has employed Nathan Louis Jackson as a playwright-in-residence. And Armstrong himself is directing a show at the Unicorn in December; An Octaroon is billed as "a 19th century plantation melodrama ... that is equally hilarious and moving, subversive and provocative" and "a shocking challenge to the racial pigeonholing of 1859 — and of today." But there’s so much more material. "People always say: Well, you have black history month," Armstrong notes. "I always say, I’m pretty sure I’m an African-American male 365 days of the year. So what I’m trying to provide for students and for the African-American public is the ability to see your life and your situations happen all the time." Armstrong traces his life in the theater to fifth grade, when he played one of five fat turkeys at Blenheim Elementary School; as a graduate of Ruskin High School, Armstrong was moved by returning to his alma mater to talk about the Black Rep.
"It was so exciting, because the (Hickman Mills) school district was one of the first ones to jump on our educational component," he says. 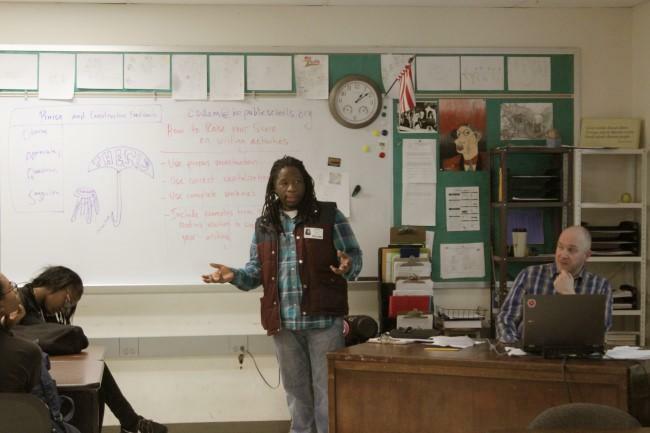 "So I've come full circle, from student to teacher." Company members will visit schools as actor-educators, Armstrong says, instilling play-writing skills to teach students "how to articulate who they are, where they are in their life, what their home life is like, really giving them a foundation for when they do move on to high school and beyond. We're not really trying to raise theater actors, but people with a passion for anything, to broaden students’ horizons beyond the things the media tells them they can or should be." The cast of 'Dreamgirls In Concert' Ruffin (from left) Evan Lovelace, LeShea Wright, and White rehearse a scene in which the Dreamgirls call home to ask their parents for permission to go on the road with singer Jimmy Early. 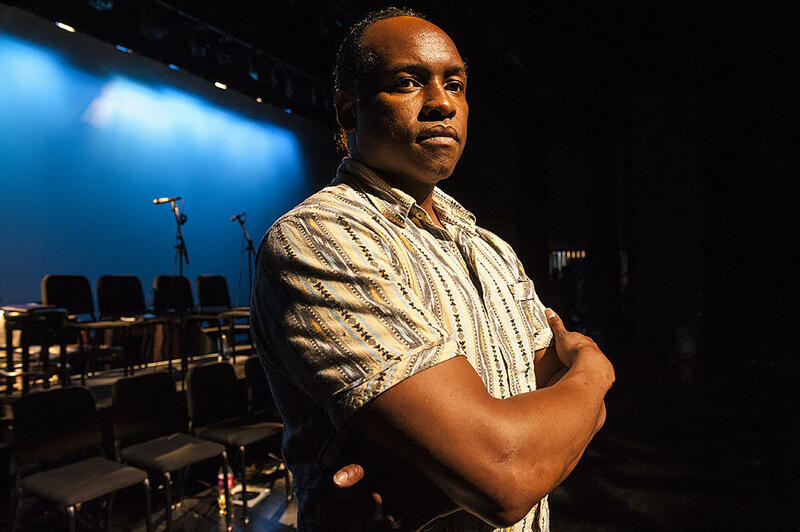 Armstrong knows the Black Rep isn't Kansas City's first African-American theater company. "In the early '80s, as I was coming out of high school, there were the MCC Players and the Metropolitan Ebony Theater, that for one reason or another weren't able to sustain," he says. But Armstrong is confident he knows where to find the audience. "The same place Tyler Perry does when he comes through and sells out the sprint arena." And he knows where to find the talent. 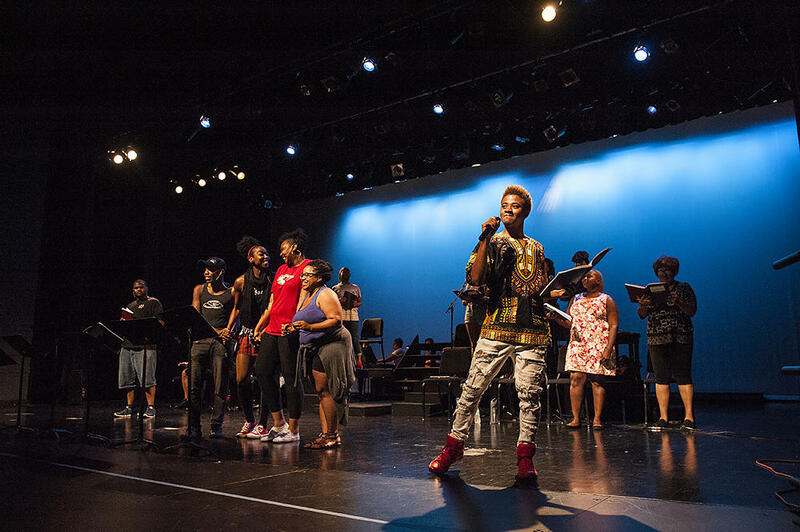 "Possibly the happiest point of this whole process," Armstrong says, "was being able to do a citywide audition at the Gem Theater, and do an all-call to the community, and I was floored at the amount of talent that came through in one day. That day, I could pretty much cast the entire show just from the community." Armstrong had worked with some of the people who auditioned, but others he didn't know. Some had no professional theater experience. "It then asks the question, how have these folks gone under the radar for this long?" The cast of 'Dreamgirls In Concert' prepares for the Black Repertory Theatre of Kansas City's debut. "I heard about the auditions on Facebook," says Lanette King. She did some acting in college, but this will be her singing debut in Kansas City. She says she was shocked to get the role. "I actually cried and was happy, because I've never really depended on my voice to get me anywhere. I've always depended on my acting skills," she says. 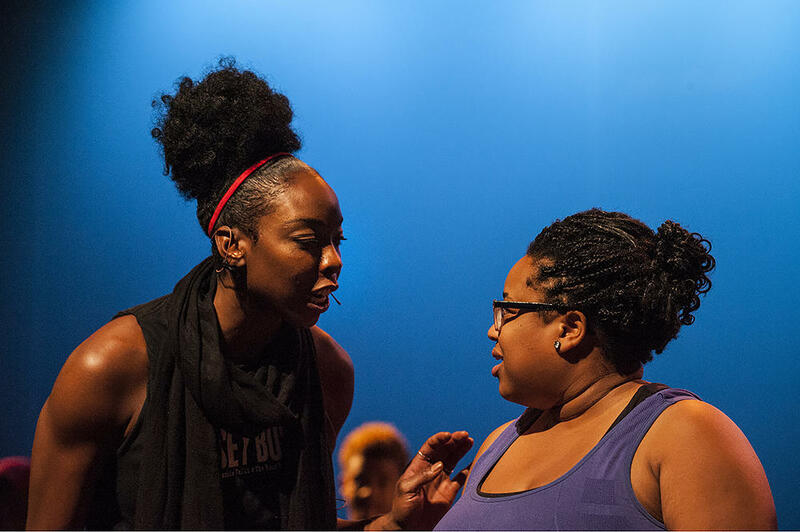 LeShea Wright, who plays Deena, has been singing in shows at Quality Hill Playhouse for the last few years, but she says the Black Rep will be different. "We’ll get to do plays that are focused and centered on us, and so that showcases us, what we are, what we do, how great we can be, how great we are." That will make Kansas City's theater scene better, she says. "Because sometimes you can overlook a few gems," she notes. "Or you can miscast a few gems that should be very great. It just happens that way." For Shon Ruffin, getting to play Effie in the company's debut performance is a dream role, one that mirrors her own story. "I’m not tall, I’m not skinny," Ruffin says. "I’m an African-American woman, so I don’t automatically get leading roles like a lot of other girls, and I don’t look like everyone else. So it means a lot when I can still do what I love to do. But I have to prove myself." Besides Dreamgirls In Concert, Armstrong has four more works planned for the rest of the season, including a collaboration with the Heart of America Shakespeare Festival and an original work. So, there are more dream roles ahead. Dreamgirls In Concert, presented by the Black Repertory Theatre of Kansas City, September 1-3 and 8-10 at the Paseo Performing Arts Center, 4747 Flora, Kansas City, Missouri, 64110. It's a rare person who can make a full-time living as a playwright in Kansas City. Nathan Louis Jackson is such a person. His gig as playwright-in-residence at the Kansas City Repertory Theatre was recently renewed. The Island is a play about apartheid. 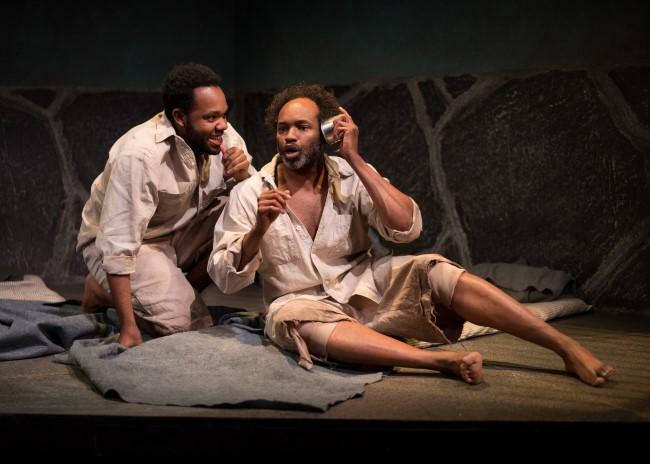 Its two actors are prisoners in a tiny cell on South Africa’s notorious Robben Island, where Nelson Mandela was kept. After playing Bob Cratchit in Kansas City Repertory Theatre's A Christmas Carol for the past six years, it seems actor Walter Coppage was up for a change. 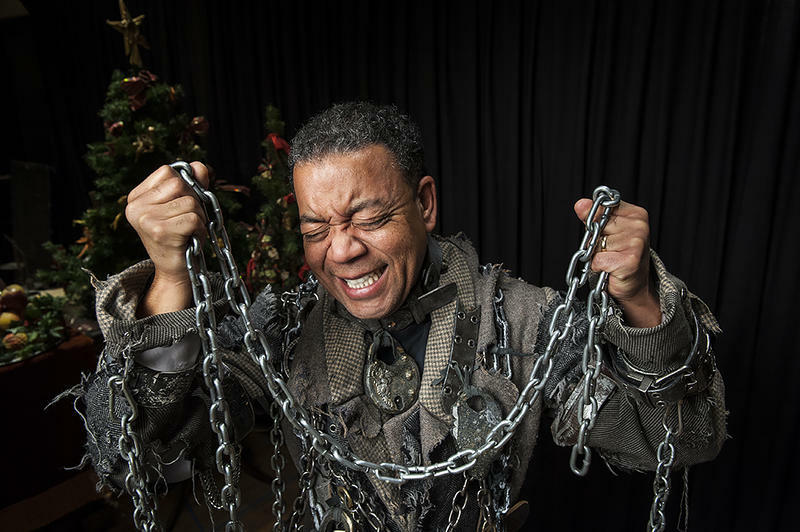 In this year's production, Coppage was asked to take on two new roles — as the ghost of the miserly Jacob Marley and as the generous businessman Mr. Fezziwig. And, like others he's taken on throughout his career, these characters offer some unorthodox challenges.